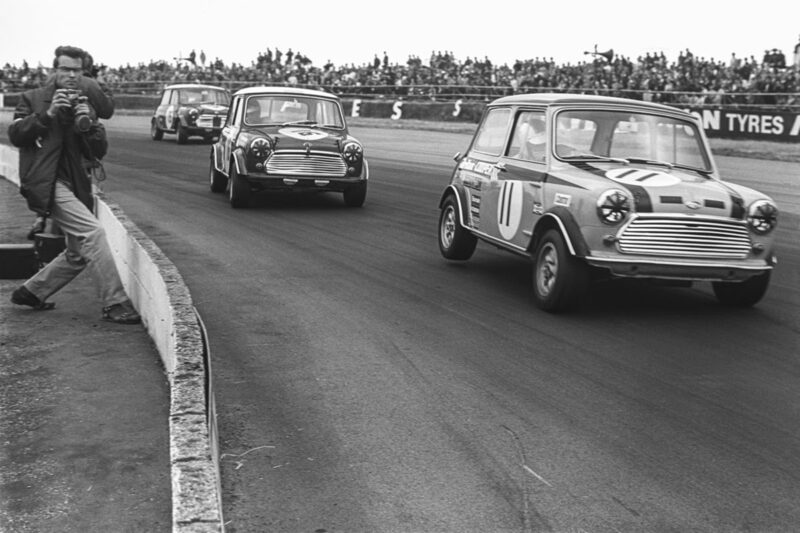 The 60th anniversary of the extraordinary Mini Minor will be celebrated with two record breaking races at this summer’s Silverstone Classic (26-28 July). 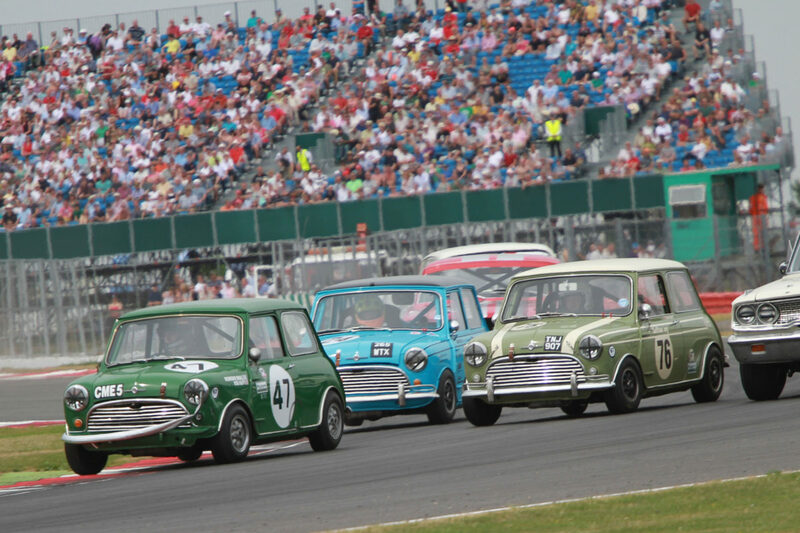 To mark this magical milestone in true Classic style, the packed on-track programme will – for the first time ever – feature a pair of very special showdowns dedicated entirely to huge numbers of much-loved Mini racers competing for The Mini Celebration Trophy presented by Adrian Flux. 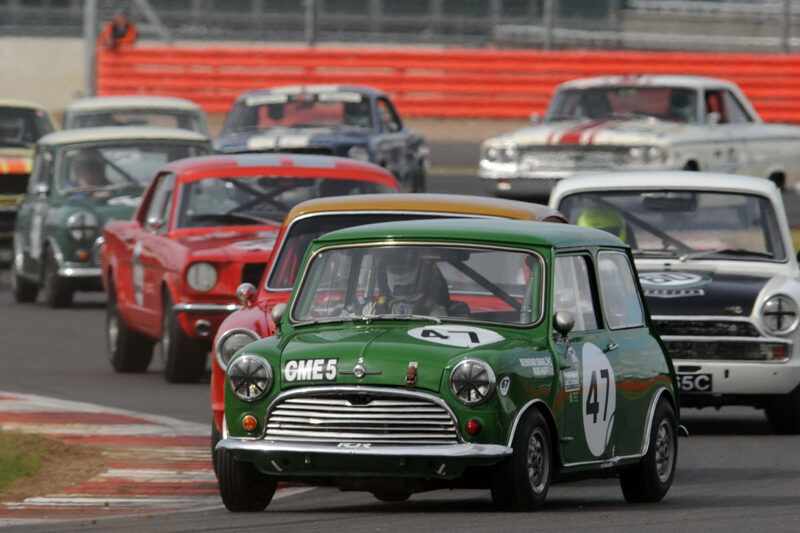 The automotive icon’s enduring popularity with historic motor sport competitors is certain to create the world’s biggest-ever grid of racing Minis and, fittingly, another major crowd-pleasing highlight at this year’s running of the biggest retro-racing festival on the planet. Ensuring everyone shares in the celebrations, the unmissable Mini double-header action will star on all three days at the Classic with qualifying on Friday and spectacular 20-minute showdowns on both Saturday and Sunday. First launched in 1959, the ground-breaking Mini not only revolutionised small car design forever but also became a classless British style icon in the Swinging Sixties – an image that is still fostered today by BMW’s on-going homages to the innovative original which was designed for the British Motor Corporation (BMC) by the ingenious Sir Alec Issigonis. As well as becoming one of the most influential cars in automotive history, the trail-blazer also earned its spurs in competition. Maximising its nimble front-wheel-drive layout, higher performance versions quickly added to the Mini’s spiralling kudos.  Three famous Monte Carlo Rally wins plus numerous giant-killing successes on the race track – many at Silverstone – boosted the little car’s incredible credentials and further fuelled the perennial favourite’s legendary status. “Absolutely everybody who loves cars loves the Mini, so we are really thrilled to be celebrating this major milestone in its illustrious history with two fabulous races at the Classic, where the stars are always the cars!” enthused Nick Wigley, Silverstone Classic CEO – a long-term fan of the charismatic BMC baby having learnt to drive and passed his driving test in a little red Mini. This summer’s duo of Diamond Jubilee duels are being organised by Masters Historic Racing and will feature competition cars dating back to the pioneering Mini’s original pre-1966 era. Furthering the festivities at the annual Classic, a raft of evergreen Minis will also feature in special track parades and in dedicated in-field displays organised by members of prominent motor clubs representing all generations of the revered marque through the ages. Visitors keen to join in the festivities at the festival must buy their tickets in advance and can take advantage of the Early Bird offer on tickets when purchasing before the end of March. As in previous years, all tickets grant access to trackside grandstands, live music concerts on Friday and Saturday evenings, both racing paddocks, plus the vast majority of the fun-fuelled family entertainment on offer at the ‘rocking and racing’ Classic. Full details on general admission tickets, car club display packages, hospitality experiences and camping options – as well as all the latest Classic news – can be found on the silverstoneclassic.com website.